Update your emails, bulletin, and social media with Kindrid Giving information! Use a customized engagement slide every service during offering time. You can also customize your own giving slides with these templates! 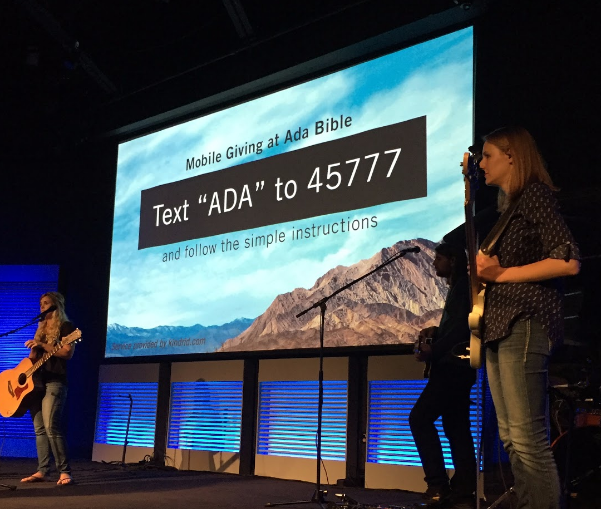 Ada Bible Church displays a giving slide each week during offering, before service, and after service. Do you have a bulletin? Update your bulletin template so it permanently includes a reminder for text and online giving. 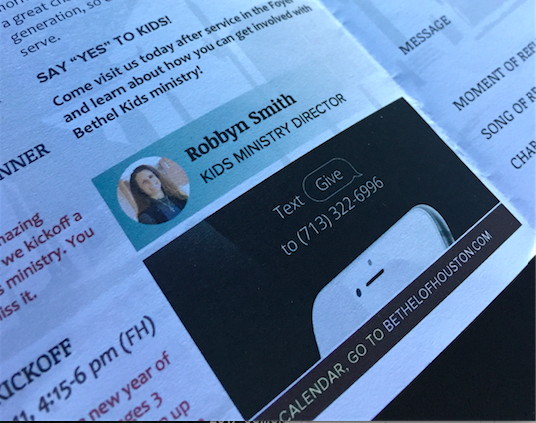 Bethel Church's bulletin includes their rollout slide to as a text giving reminder. Post giving reminders and generosity celebrations on Instagram, Facebook, and Twitter. > Don't forget to add a Donate Now button to your church's Facebook page. Church at the Gates posted a giving reminder after their live rollout. 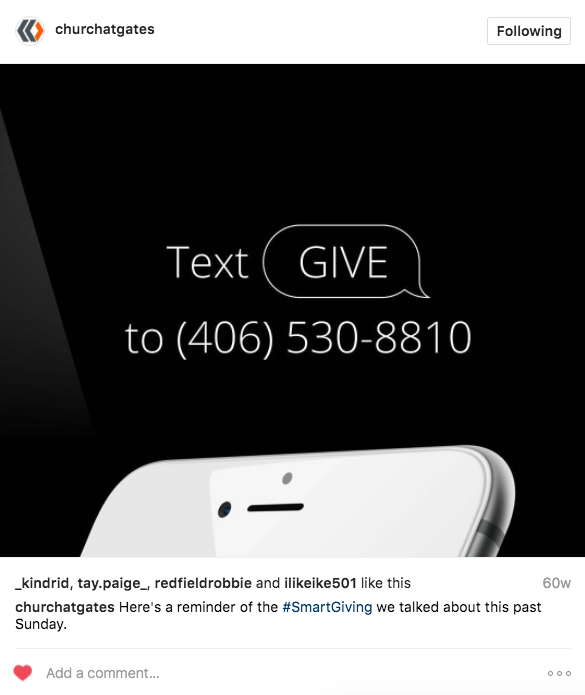 King's Church used Instagram to prepare givers for a special offering. Memorial Drive United Methodist Church posted giving instructions on Facebook. Does your church send email newsletters? Do you email your congregation about specific ministry campaigns or special offering? Include giving instructions in all relevant email communications. 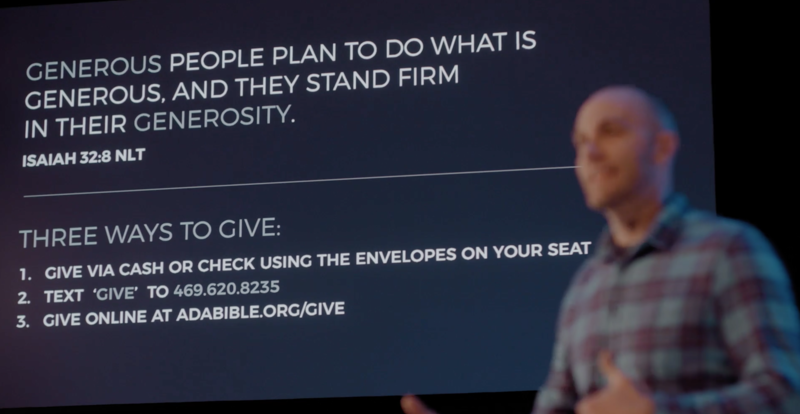 Highland Park Church sent a followup email after their live rollout explaining how to give. What are other ways your church uses printed and digital communications to engage your givers?